A crowded pedestrian street in Verona, northern Italy with wonderfully eclectic architecture and colours. 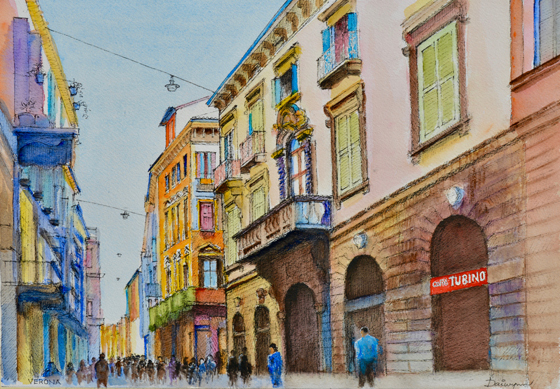 Caffé Tubino is a prominent feature in this ink and watercolour painting by Dai Wynn on 300gsm Arches cotton paper. 29.5 cm high by 42 cm wide by 0.1 cm deep approximately. A3 standard size.